The stylish curves of our Metro Bench give it an art deco feel that easily fits into all settings, including commercial applications. All surfaces are highly polished. The lighter leg pieces are then bush-hammered to create a contrasting finish. 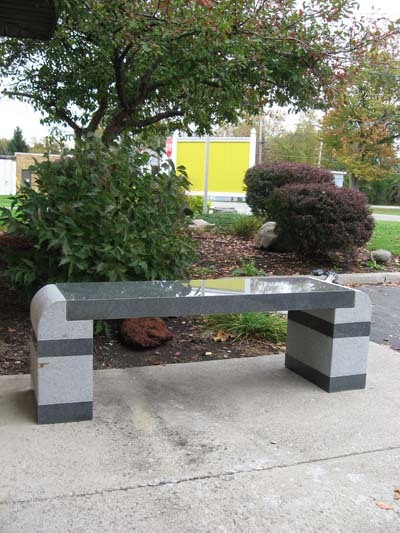 This bench is shipped in three pieces and offers an exclusive design that makes it a popular choice for public installation. The legs allow the bench to be easily attached to a steel ‘L’ bracket to permanently secure it to a concrete or stone base. Many customers also choose engraving options for this stone art piece.